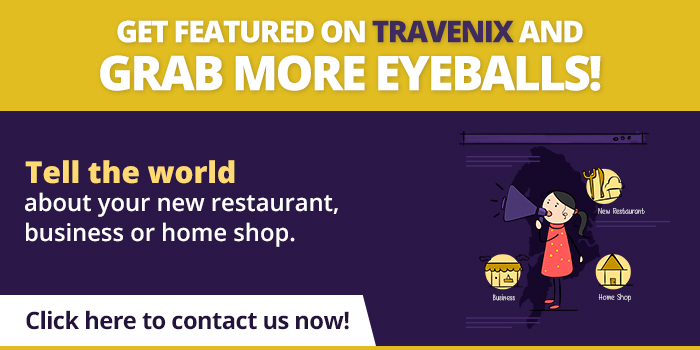 If you’re looking for a quaint cafe at the heart of Vile Parle, look no further because your search has ended. 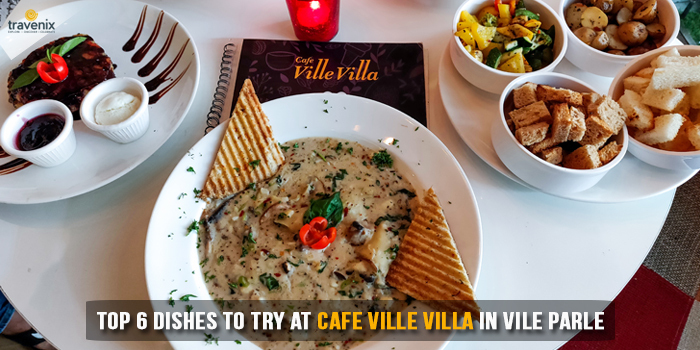 Cafe Ville Villa is a cozy cafe that serves some of the finest dishes and has a beautiful ambience that makes your dining experience even more indulgent. If you’re in Vile Parle and are looking for the perfect place to hang out with your friends, this is the place for you. From fondues to pizzas and pasta, they have it all under one roof. Let us look at some of the best dishes that they have to offer. You may have tried other fondues but this one is different. 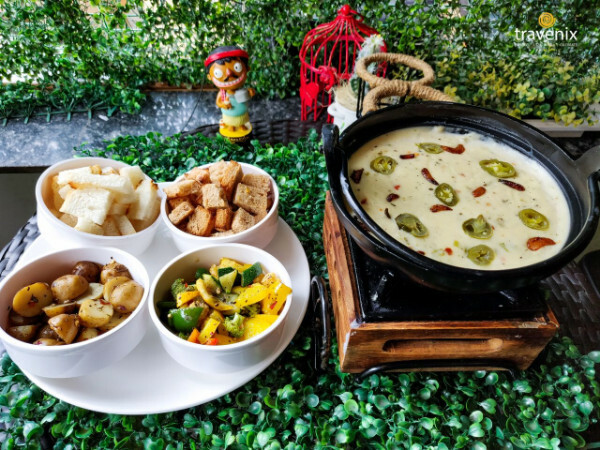 Baby potatoes, toasted white bread, toasted brown bread and exotic veggies are served along with a fondue pot which is filled with cheese and jalapeños along with garlic cloves and is served in a cute cart. Pick, dunk, and savor this delicacy that you cannot find easily. 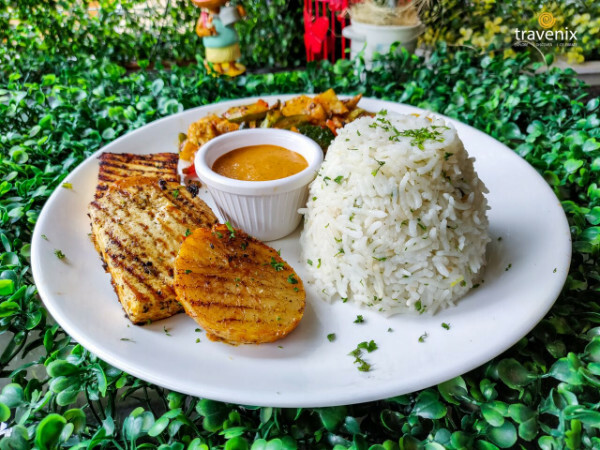 Rice is served in the shape of a hill with soft paneer patty and potatoes along with a Peri Peri sauce dip. Along with this are loads of veggies that are served on the side which are marinated to perfection to give you a burst of flavors in your mouth. A great dish for those who love spicy food! If you’re looking for the perfect pasta out there, your search stops here. 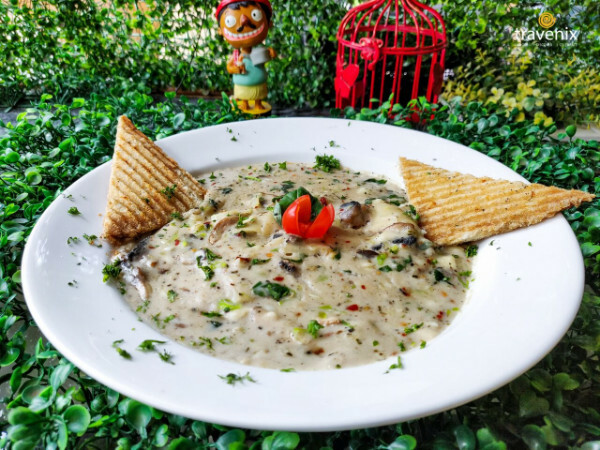 The Mushroom Leek and Tarragon Pasta are full of the flavor of mushrooms. This pasta is served with grilled bread and has baby tomato and mint leaves for garnishing. It is topped with paprika that gives it a slightly spicy flavor that is absolutely delightful. Freshly made nachos are served with loads of cheese sauce and Mexican salsa for creating an indulgent experience for you. 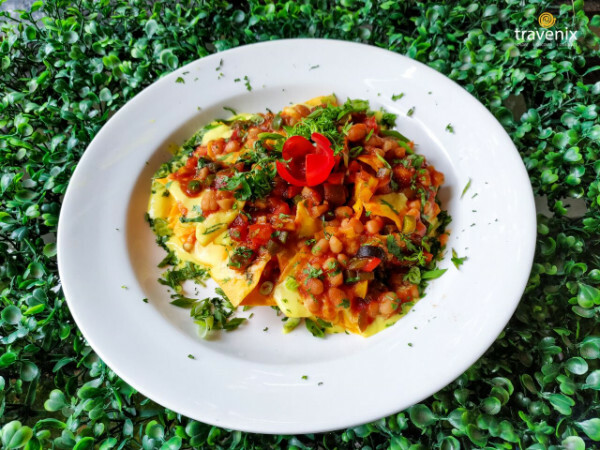 The pasta is further topped off with loads of melted cheese and is then topped with a thick layer of baked beans and then garnished with coriander leaves. The warm cheese and the crunchy nachos go perfectly with each other! The pancakes here are made in the traditional manner and thus aren’t completely in shape but that’s the beauty of this dish. 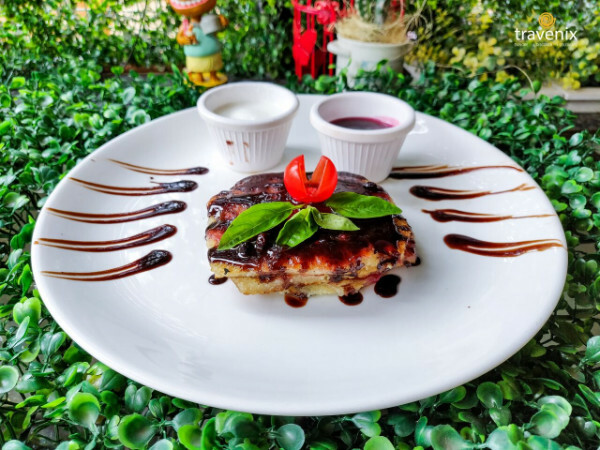 This pancake is served with a blueberry sauce topping and is garnished with a baby tomato and some mint leaves. It is served with ice cream and some blueberry sauce with which you can relish this delicacy. Nutella fans will absolutely fall for this freakshake. It has a very thick consistency and is served with a lollipop! 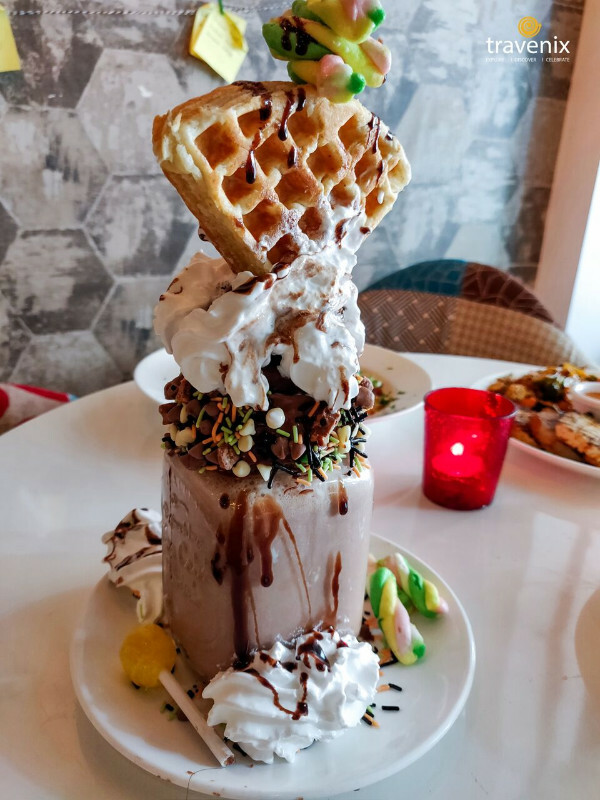 It is topped with a thick layer of whipped cream and has a Waffle and marshmallows too for your indulgence! You can even find another layer of chocolate as you dig in and you’ll find a piece of cake and a chocopie there! An overall chocolaty experience is what you get in this dish.